• 6:00a – Lines In. • 9:00a to 5:00p – Fishing Exhibition. Vendors & Exhibits on Hodges Street. • 4:30p – Lines Out. 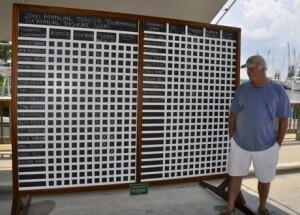 • 4:00p to 5:30p – Weigh-in for Inshore Slam & Verification for Tarpon caught. All at the Town Dock.